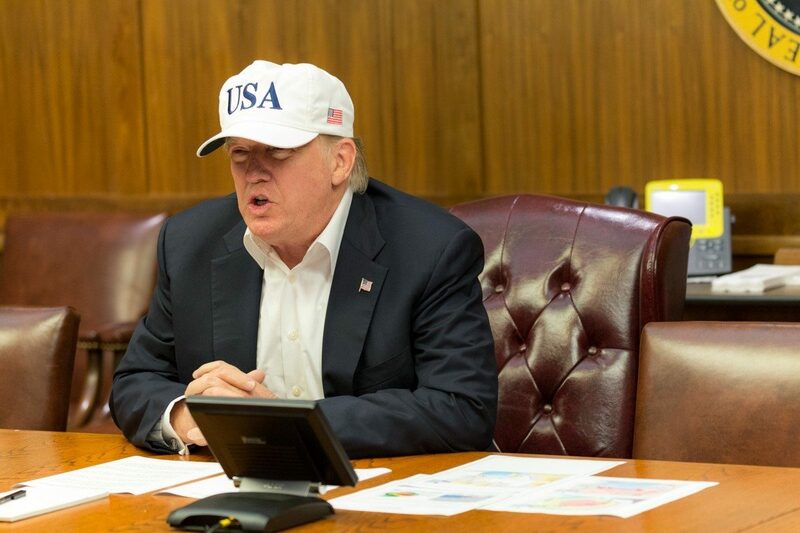 Courtesy of Shealah Craighead | White House President Trump sported his campaign gear on his first visit to hurricane victims in Houston. Hurricane Harvey’s widespread destruction will be remembered by the images of homes destroyed, families uprooted, first responders rescuing locals from flooded streets and elderly couples trapped on rooftops — a city washed away. These are images of a national crisis, ones that should make any American, liberal or conservative, drop partisan politics and focus on the people of Texas. However, you might have also seen images of the president of the United States visiting Texas this week, sporting a patriotic golf-hat, emblazoned with “USA,” the American flag and his presidential numeral, 45. This hat is also the same hat being sold on his re-election campaign web store for $40 and featured in multiple photos released by the White House Press Secretary of his visit. President Donald Trump has been promoting his 2020 campaign since his 2016 campaign ended, holding a total of eight official campaign rallies, filing his paperwork for candidacy early and, of course, selling “Make America Great Again” gear to his supporters on his website. Trump took his campaign to Houston, the city Harvey hit the hardest. He wore multiple hats from his line, hyping up the size of his crowds and the storm during his visit. 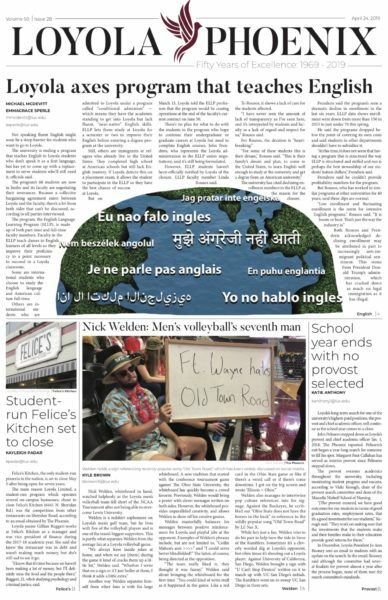 The world is watching, President Trump. Not because we want to hear campaign promises or how “epic” the storm was, but because we need to hear from the leader in charge of guiding us through this national emergency. There is a time and a place for campaigning, and that’s not when the country is facing a natural disaster. To wear that hat while visiting a community in crisis was not an act of patriotic pride; it was an act of product placement and self-promotion. However, on his second visit to Houston on Sept. 2, Trump did meet with some of the victims of the storm as well as the volunteers involved with the recovery, chatting with them while visiting at a Houston relief shelter. Trump also sent a formal letter to Congress asking for $7.85 billion in relief funds for Houston as well as donating $1 million of his own money to recovery efforts. These acts of aid are reminders that Trump is capable of being a strong leader in times of national turmoil, but he can still be more empathetic to the people of Houston by saving the campaign talk for campaign season. Yet, Trump isn’t the only political force that has been insensitive to the ongoing disaster in Houston. 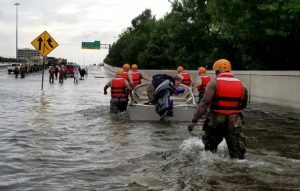 The Democratic Congressional Campaign Committee (DCCC) spammed the inboxes of its supporters the week of Aug. 28 with emails featuring subject lines such as “URGENT” and “FINAL NOTICE.” Yet these emails didn’t contain anything about the truly urgent situation America is facing in Houston. Instead, the emails contained a plea to donate to the DCCC in order to “defeat Trump and his Republicans” and also claim that their campaign to take back the majority is “desperately in need of help,” according to a tweet from Dave Levinthal, senior political reporter for the Center for Public Integrity. "We're begging … We are in desperate need of your help." Houston, which is desperately in need of help itself, isn’t mentioned once in these emails, nor are there links to donate to relief efforts on the DCCC’s website. The Democrats’ pandering for funds during a national emergency is as embarrassing as our president modeling his merchandise during a visit to a disaster zone. However, it’s even more foolish for both Trump and the DCCC not to use their public platforms to educate their respective 37.3 million and 215,100 Twitter followers on the situation in Houston, as well as ways to donate and get involved. Both parties and politicians have the right to promote themselves and fundraise, but they cannot forget that they are first and foremost civil servants, especially during a national crisis. The point of being elected isn’t just to win a race, but to use the privilege that comes with the office to help those that are less fortunate. More importantly, setting aside partisan fighting and campaign strategy at a time of national panic and mourning is the right thing to do. When people are being washed out of their homes and living in shelters, possibly after just losing loved ones, worrying about funds and votes is disrespectful to those who are grieving and processing the losses they have suffered. The behavior of our politicians this week proves that the process of showing a unified front may be a tough one, even though Hurricane Harvey was clearly a time to band together as a nation. As the rebuilding of Houston begins, I hope our public leaders take a moment not to be Democrats or Republicans, but simply Americans.